1) How to apply a Scout Membership Card? 2) What benefits can a Scout Membership Cardholder enjoys? 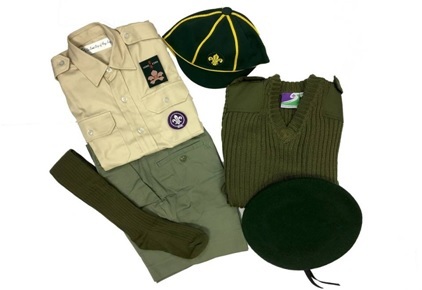 8) Can we attach souvenir badge(s) on Scout Uniform? 10) What should I do if I lost the proficiency badge(s)? 12) What is Campfire Blanket? For application, please go to http://www.scout.org.hk/en/others/smc/ for details. Please details of Scout Membership Card Benifits, please refer to http://www.scout.org.hk/article_attach/307/Benefit.PDF. You may also refer to "Membership Privilege" for details. Please go to http://www.scout.org.hk/chi/scouthk/uniform/home.html for details. Please refer to hkscoutshop.org.hk/download/Cub_Scout_Uniform.pdf for details. The Scout Membership badge should be put on uniform only after the membership declaration. Under construction. Please refer to Chinese version for details. Scout members can buy maximum 2 badges for each certificate they obtained. Our staff will chop our company stamp on the back of the certificate to show the number of badge they sell. If scout members lost the badge and they have already bought 2 badges before, they should request their Group leaders to issue a new certificate in order to buy new badges.